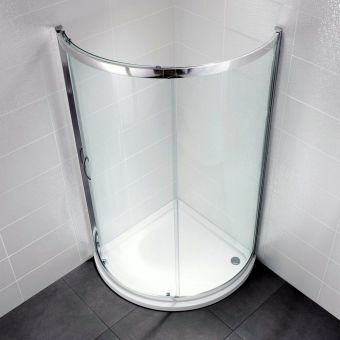 A simple, classic design that is tried and tested, the April Identiti is both modern and evergreen. 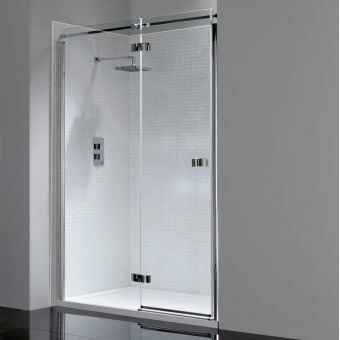 Finished in polished silver and pure glass, it stands proud either in the corner or recessed space. 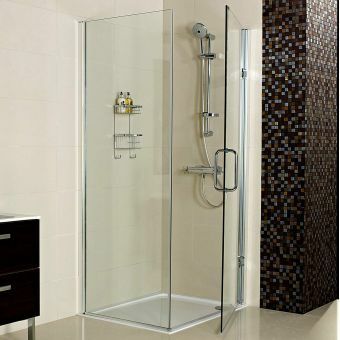 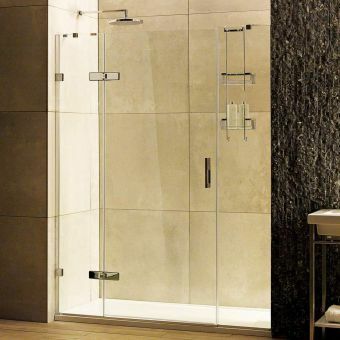 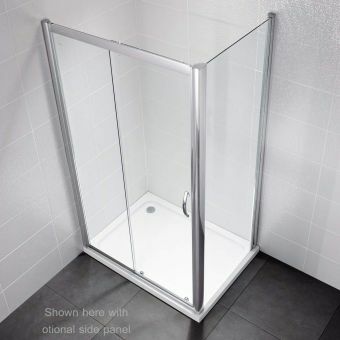 Suited for use in the bathroom that has a more open aspect, this enclosure requires a free surrounding footprint to allow the door to swing outwards. 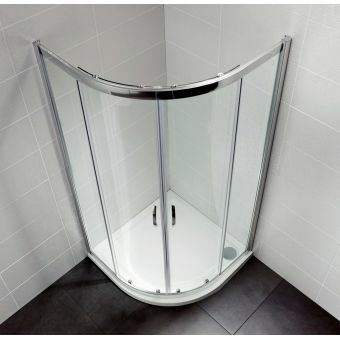 fully reversible for left or right opening, it can be orientated just how you need it. 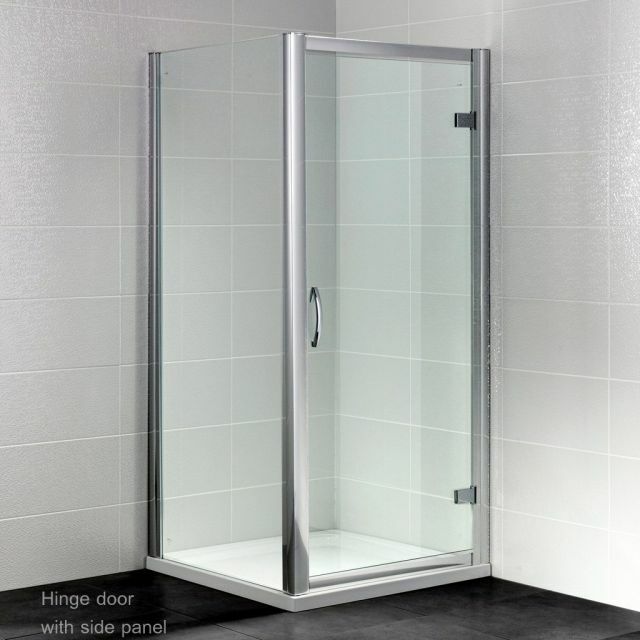 Optional inline panels give you all the scope required to ensure that the door can fit into the alcove that you have designated for it. 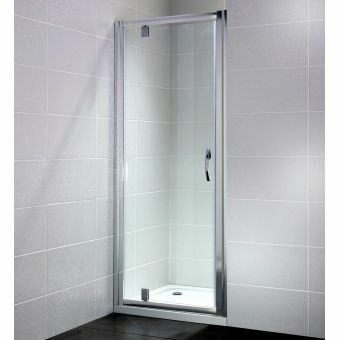 Perfectly matched in colour, style and dimensions, these 200mm panels give you the extra width if you need it. 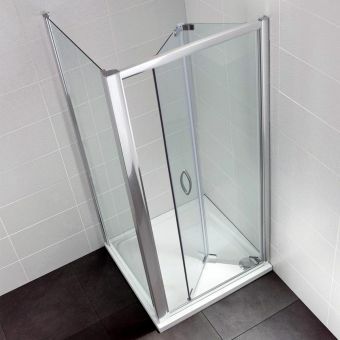 Alternatively, this unit can be accommodated into the corner space, with the inclusion of a matching side panel. 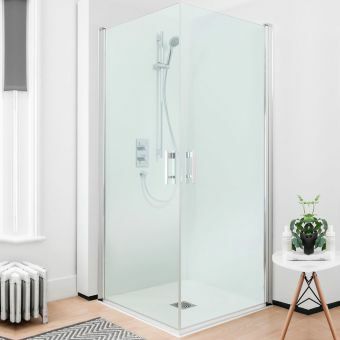 With this number of arrangements on offer, it is no wonder that the April Identiti range proves so popular among customers looking for solutions that are both practical and luxurious. 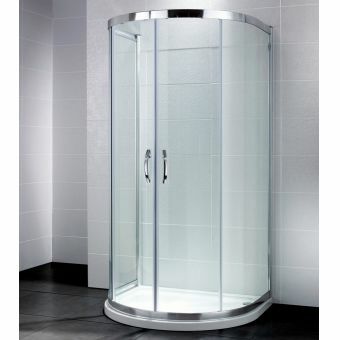 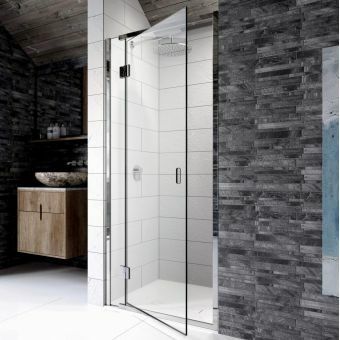 Crafted from 6mm toughened safety glass, this enclosure provides both strength and comfort, as its 1900mm high glass door and optional panels let in plenty of light for a fresh, open ambience.